This tour allows more time to relax and absorb the experience in western Bhutan.It combines almost all the important cultural highlights and allows time to wander through the streets for some souvenir shopping. We start the trip in Paro with cultural experiences and end with a hike to the famous Tiger Nest, clusters of temples built on sheer rock face. In Thimphu we take through the grand textile museum, school of arts and crafts, traditional paper factory, the great Tashicho Dzong (capital fortress) and some time to witness Bhutanese men playing archery. We add day hikes to scared temples. Punakha stay is an opportunity to see one of the most beautiful passes called Dochhula. The two to three hours drive, one way, offers an experience to enjoy the natural treasure revealed through temperate and sub-tropical forests. While at Punakha we take you to the temple of the Divine Madman and the great Punakha Dzong. 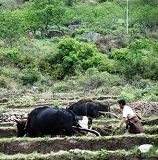 The hike we offer in Punakha offers an experience in the life of farmers. On the way back to Paro we offer one of the most beautiful hikes at Dochhula Pass. Day 01: Fly from Bangkok, Dhaka, Delhi, Kathmandu, Kolkata or Singapore. Day 02: Paro cultural sightseeing. Day 03: Thimphu cultural tour. Day 04: Thimphu-hike to Chari & Tangu temples. Day 05: Drive to Punakha. Day 06: Hike and sightseeing of Punakha. Day 08: Drive to Docchula Pass & enjoy a hike. Overnight drive to Paro. Day 10: Fly to Bangkok, Dhaka, Delhi, Kathmandu, Kolkata or Singapore.